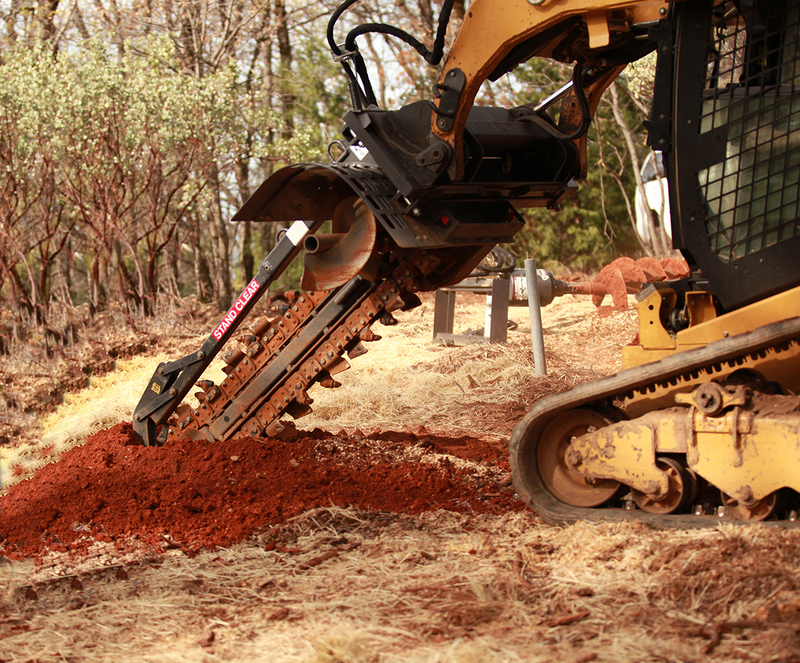 Byers Land Clearing & Wildfire Prevention offers several equipment attachment options for your project. 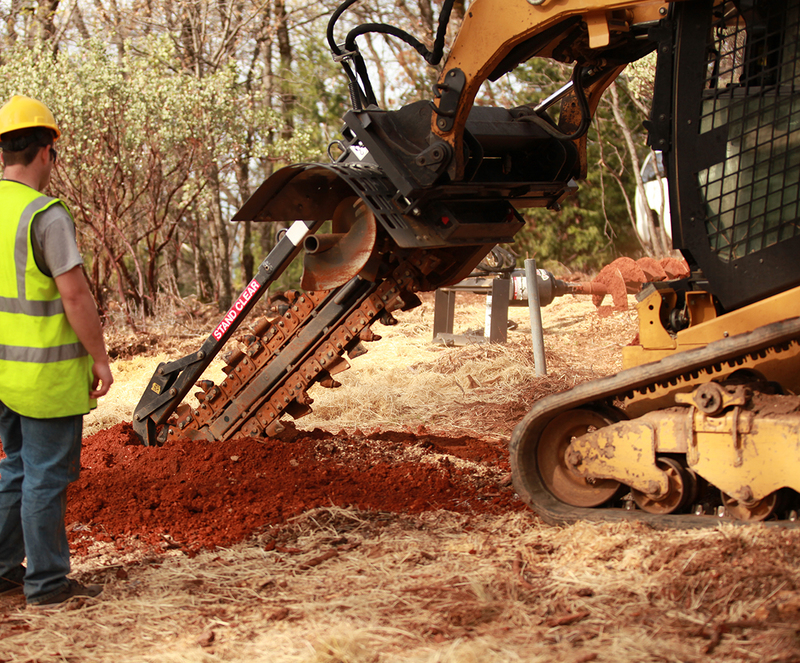 With 4 different attachments to the Skid-Steer, we can protect you home & family from wildfires, prepare your site for construction, clear brush and trees for more land use, dig holes, and so much more. 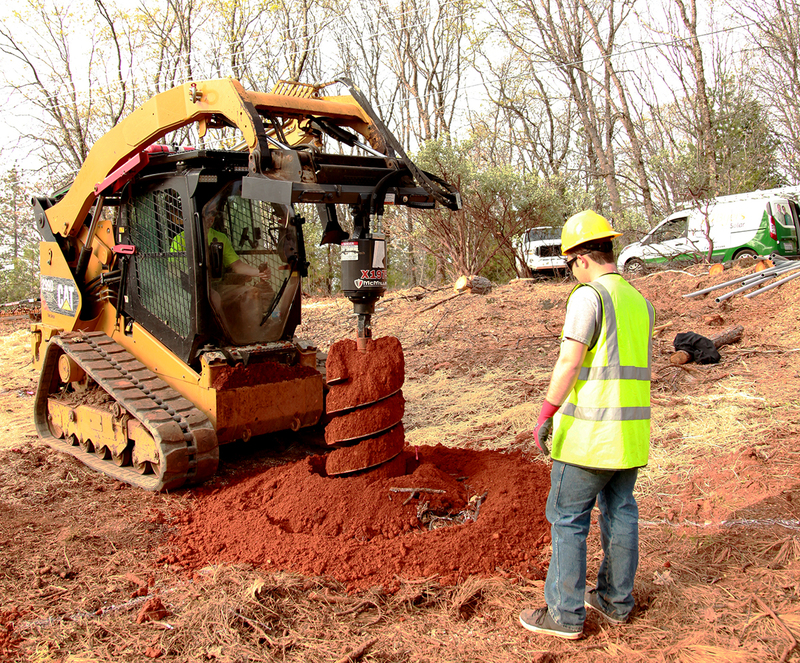 Byers Land Clearing and Wildfire Prevention: Auger, or Post Hole digger, does more than dig holes for posts for fencing, it also digs holes for any kind of footings, and at any diameter up to 2′. 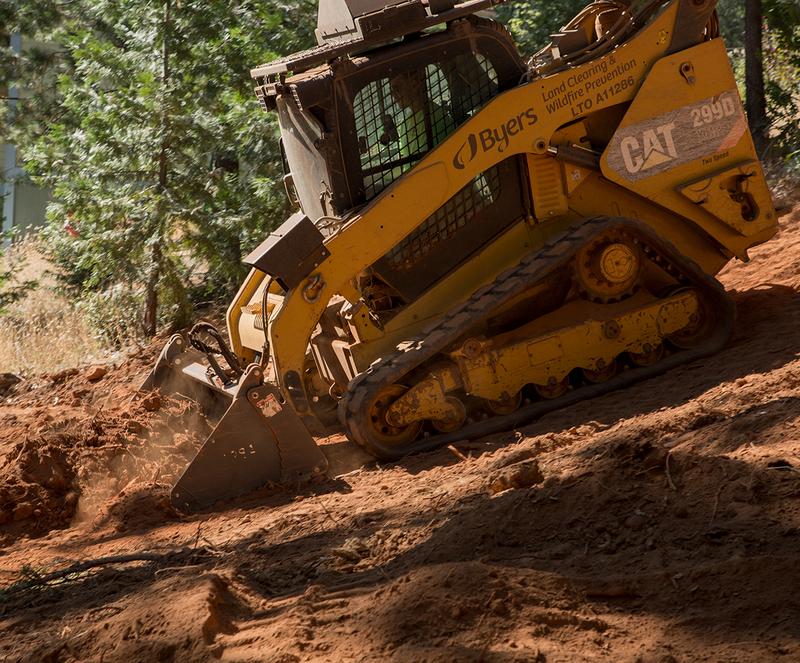 Byers Land Clearing and Wildfire Prevention: Trencher is great for trenches when needing to run power underground or pipes for water & gas lines. 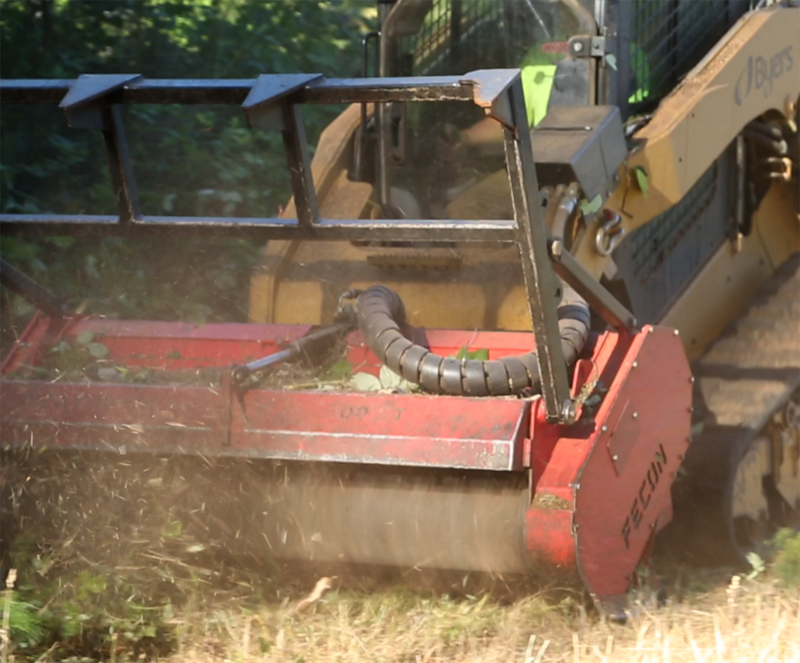 Byers Land Clearing & Wildfire Prevention: Masticator, also referred to as Mulcher or Brushcutter, cuts, and chops, or grinds, vegetation into particles that are left on-site as mulch, or wood chips to lower the vertical height of fuels (ladder fuels). Taking the volume of shift fuels into the 1 and 10-hour size classes, as an alternative to chemical treatment of competitive species, for aesthetic treatments, right-of-way maintenance, range rehabilitation, and Wildfire protection with a defensible space. Trees, up 24 inches in diameter, can be turned into wood chips if a chainsaw is not readily available. Slope limitations are a factor in where we can clear. But are not afraid of hills. Rocky ground will wear out the teeth faster and may pose a fire hazard. Uneven ground makes control of the head difficult and may result in poorly processed material and erratic looking landscape. Provide a buffer zone between your home and surrounding landscaping that can help better protect your residence from damage caused by fire. Byers Land Clearing & Wildfire Prevention can help you keep your home safe with a defensible space and clear up land for use.